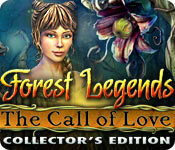 Forest Legends: The Call of Love Collector's Edition is rated 4.0 out of 5 by 91. Rated 5 out of 5 by Delolo7 from Enchanting!!! I love fairy tale games and not sure how I missed this gem. It seems to me the few poor reviews were from people expecting something different;not sure what, but I thot the whole game from graphics,Voice overs, music and story line was beautifully done. I love all the extra info in the interesting story line and seems if some people dont care for that you simply click continue,no big deal. For me this was one of the best fairy tale games here and there have been some very good ones! Great Job Developers!LOVE IT!!! Rated 5 out of 5 by granmacaro from forest legends the call of love The story was well written and meaningful. I enjoyed this game so very much. Was challenging enough but not overly so. Music was not distracting. Was not full of villians and so forth. Had easy to accomplish tasks with help when needed. Love the games with maps. Thanks was a most enjoyable experience for me. Rated 5 out of 5 by ahunter0701 from Beautiful Game!! This was such a beautiful game! So much to look at and so much to do. If you love everything that is magical you will love this game! It has the cutest dragon that is your hint. There is a journal which the main character that is you, reads aloud as you go. I loved this feature. 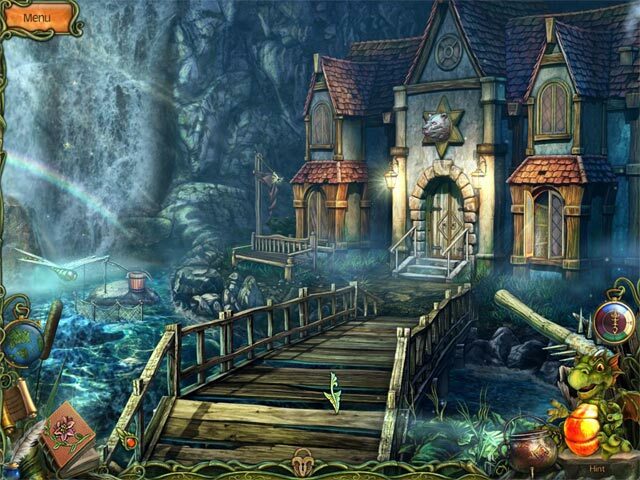 Great storyline beautiful artwork and fun to play! I loved playing this game, and definitely recommend!!!!! 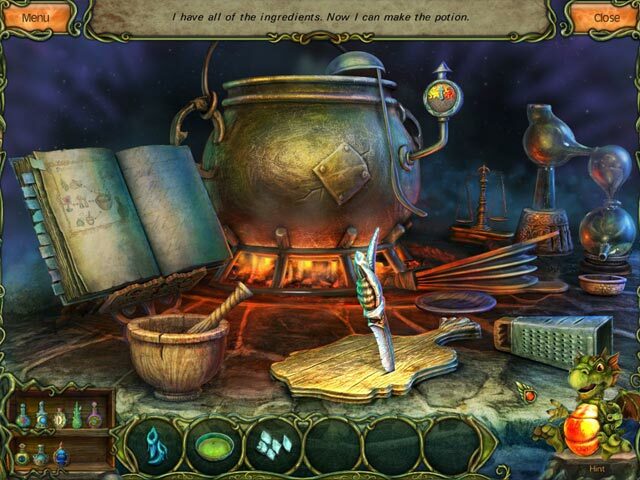 Rated 5 out of 5 by tutortime from Beautiful, long game. Really enjoyed playing this game. The colors and graphics were beautiful. Rated 5 out of 5 by Maebird from Excellent Story This game/story has all the elements I look for in a game. Beautiful but dangerous scenery, a believable heroine and hero who fit nicely in the story, good versus evil where good wins in the end. Along the way, you meet interesting characters, some good some not so good. The HOS are great and the interactive puzzles are excellent and challenging (at least for me as an intermediate player). You play as Eveline, so you're thrust into these areas where you are unsure what's waiting for you around the bend. You can almost smell the sulphurous swamps or the acrid stench of the Nagas under water world. Yep, you got it, as in snakes YIKES!!! But, if you get stuck, you have this cute little dragon buddy (I named mine cubbsy-ubbsy) who is willing to help you along the way. I encourage you to get the collectors edition because the bonus story tells you how the trusted but evil Marrbutt came to be. This is the second time I've played this game. And, I am 100% sure I will play it again. Good fun!!! Rated 5 out of 5 by Jenny4143 from Excellent This game is by far one of the best. Great puzzles, easy navigation on an iPhone. I find it very hard to click on things in many of the games but this one was perfect. I wish they made more storylines like this one..... Hope there is a second one! Rated 5 out of 5 by megs56 from BEAUTIFUL MAGICAL STORY This story is about a girl who is in love with a felize (cat person) and she has to rescue him from his own land. Don't want to give anything away here, but you have to find ingredients for potions, interact with gorgeous animals and beasties and find your true love. 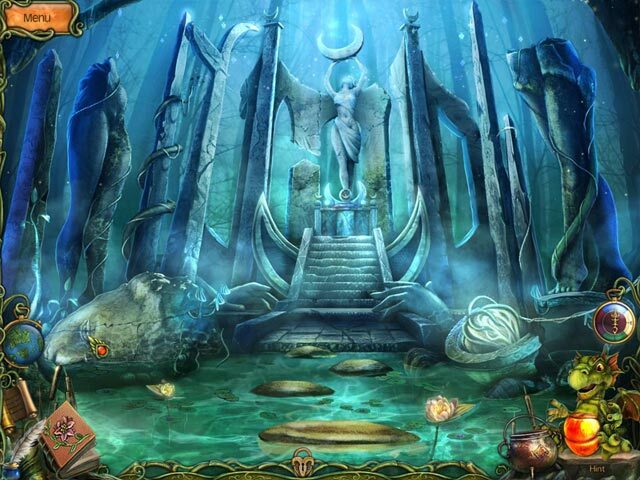 It is set in the most magical land where the graphics are superb and the storyline interesting. I absolutely love it and would recommend it to anyone. Rated 5 out of 5 by fourwinds from the best graphics.... I must say...this is my first review after playing hundreds of games...I had to mention my take on this game. --The Graphics....outstanding and absolutely stunning. The best I've seen for some time. --The storyline has a different spin even though it basically comes down to saving someone and something...can't give it all away ... --Gameplay...interesting ..again visually stunning, no hogs ..its puzzles may be a little easy for seasoned players and a great map that directly places you to whatever destination. -- Over-all....it's a must-play in my opinion...this ones a keeper for me.